First you get a picture and students have to describe it. The picture is of that a typical white Christmas. Then you ask your students if their Christmas picture matches this picture and they are encouraged to talk about their own Christmas pictures. 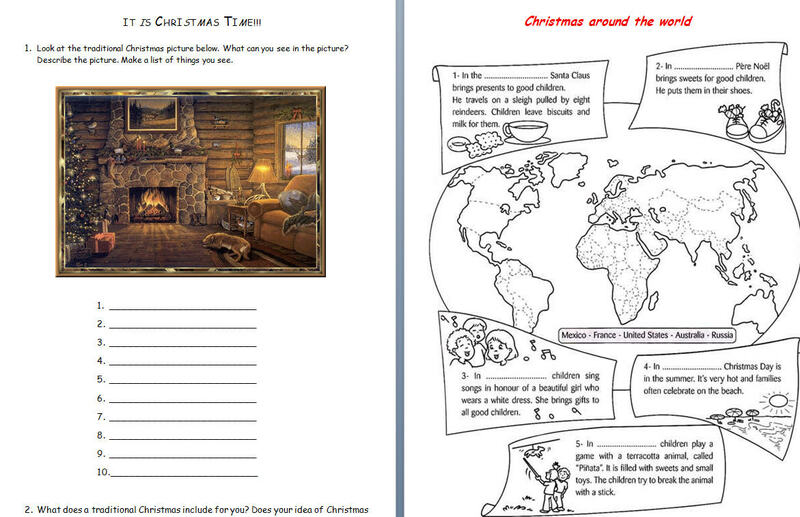 Then we get to speak about Christmas in other parts of the world. Finally they have to fill up the gaps in the Mariah Carey's song All I want for Christmas is you with the words that came up in the previous exercises. Students learn the Christmas Vocabulary basically.